Let's take a look at how to put your LTL freight rates in front your customers on your WooCommerce store with Freightview for WooCommerce. WooCommerce is an E-Commerce store that runs on top of WordPress. So naturally, you can get the plugin via our listing in the official Wordpress Plugin Directory or by searching for "Freightview for WooCommerce" in the admin section of your WordPress installation store. First, if you don't have a WooCommerce store setup already and you want to read more about that, checkout the WooCommerce Getting Started Guide. If you don't have a Freightview account, you'll need one to get this setup, but don't worry, we offer a 30-Day no risk free trial. So what are you waiting for? Sign up! Once you have your Freightview account set up and probably some of your rates returning inside Freightview already (we're pretty fast) you'll need to activate the plugin on the Plugins Tab on the Wordpress dashboard. 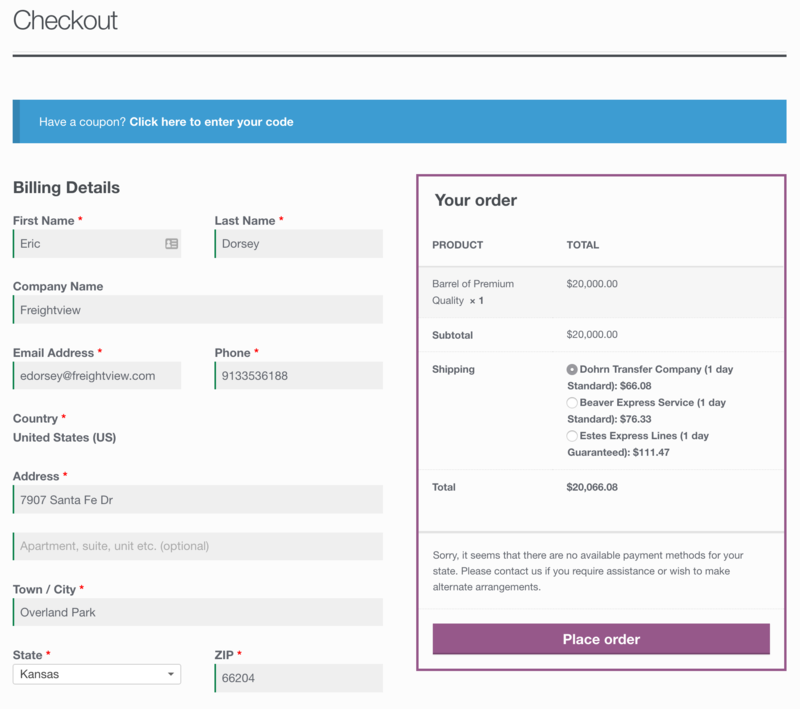 Once you activated the plugin, you can proceed to the WooCommerce Settings page and select the Shipping tab, which should land you on a page below. If you don't see the Freightview shipping option on this page, something went wrong when installing or activating the plugin. Try those steps again and if it still doesn't work, email us at woocommerce@freightview.com. To get Freightview configured, you'll need your Freightview API Key. For details on where to get your API Key from inside of Freightview, visit this page. Once you have your Freightview API Key, you're ready to do some configuring. 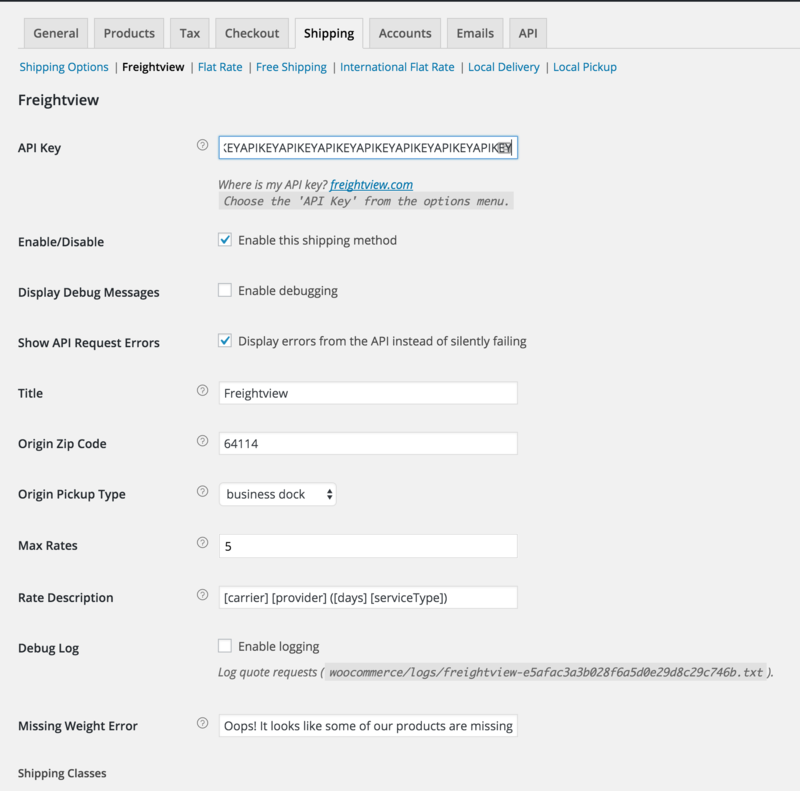 Click on the Freightview shipping option across the top of the WooCommerce Settings page. 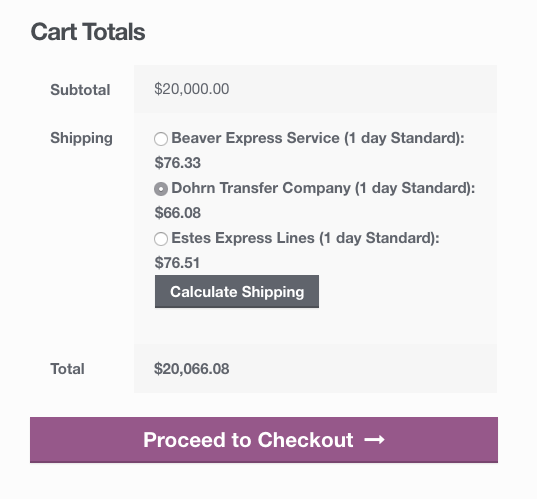 Check the box next to "Enable this shipping method"
Select some or all of the Shipping Classes from the table and add them to your WooCommerce store. This page also contains a tool that will allow you to send a test quote to our API and look at what rates are returned. After you're recieving rates from the Freightview API, you'll need to set up some products to have the necessary attributes to return rates for LTL shipping. Edit a pallet and go to the Shipping tab under Product Data. Freightview requires that a weight be set. Some carriers will return rates without a Shipping Class, but most won't, or they won't be as accurate. We highly recommend selecting a Shipping Class. Dimensions are optional for LTL rating, but if we have them, the quotes we return will be more accurate. Do this for every product that you want to be able to quote shipping for via Freightview. Once you have a few products setup, your customers should start being able to get a quote for shipping costs, using your freight rates. It works in the shopping cart. And when your customer checks out. Start your no risk 14-day free trial of Freightview now.